The Gasparilla parade may have come and gone, but this weekend Gasparilla Music Fest will be rocking Downtown Tampa. Get ready on March 12th and 13th for two days of amazing music lineups including Erykah Badu, MS MR, Stephen “Ragga” Marley and more. Along with plenty of live performances the Gasparilla Music Fest is bringing a GMF Kids Fest, GMF yoga, Sunday Latin Only Stage and Silent Disco. Head out to Macdill Park to enjoy a relaxing down dog with access to the Tampa Riverwalk. Start your weekend in the right place with no stress in any or one of three calming experiences, including Purple Dot Yoga Stretch Zone, Acro Yoga Tampa Bay Play Zone or Thai Massage Chill Zone. Yoga is included with all Saturday ticket purchases. Buy your tickets here! You want to enjoy Gasparilla as best you can, but your little ones might make that a little challenging. Thankfully the GMF Kids Fest is here to save the day. Kids will get to enjoy a mini version GMF with musical performances from playful and imaginative duo Andrew and Polly, and other kid-friendly events like a petting zoo and the interactive kids zone, where there will be face-painting, hula hooping and other events. GMF Kids Fest is FREE for kids 12 and under. There are a few restrictions as to what you can bring on the festival grounds, so make sure you check the FAQs for more details! A drop-off area is located on the backside of the Tampa Museum of Art at Gasparilla Plaza, and parking for families is available at the Poe Garage on the corner of Ashley Drive & Cass Street. Check out the Parking and Transportation page for more information. 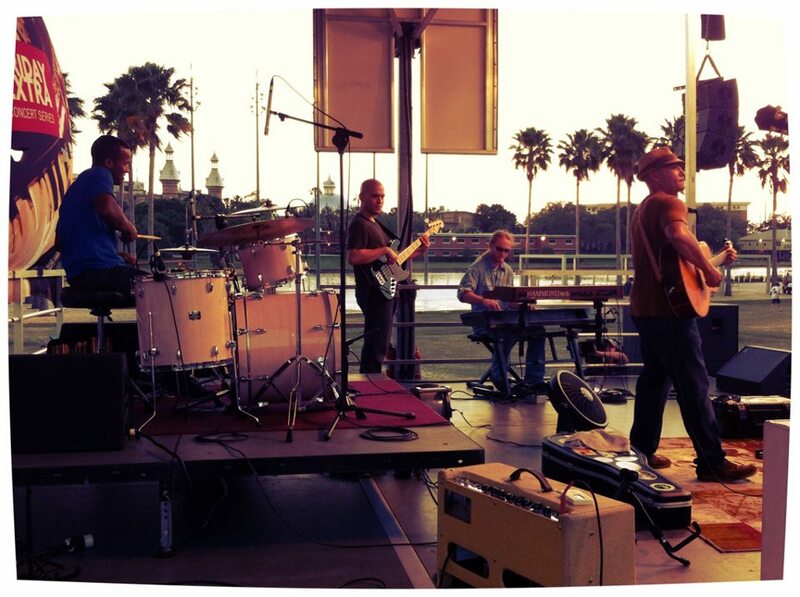 The Gasparilla Music Fest has added a fifth stage with access along the Tampa Riverwalk. On Sunday, MacDill will host a collection of Latin performances including Cuban singer-songwriter Carlos Varela. Tickets are $20 so get them here while you can! What’s a music festival without killer dance moves? The 2016 Silent Disco allows attendees to choose from three different DJs at the switch of a button. This is a perfect time to grab some friends and start up a dance competition or customize your own moves. Music by DJ Ruff-Rida, DJ Nick James and DJ Eli Em. Admission is included with your GMF ticket. Get your VIP tickets here. All that dancing and having a good time can really make you work up an appetite. GMF is keeping is local, inviting local restaurants, caterers and vendors to showcase Tampa’s cultural culinary history. Hourly parking will be available in various city-owned and private lots and there is always limited on-street parking in Downtown. On-street parking meters north of Kennedy Blvd. are always free on weekends. Bike racks are available along Ashley drive in front of Curtis Hixon Park. Tampa Bike Valet will be available to provide free and secure bike parking. Don’t want to bother with parking Downtown? Park in Ybor or Channelside and take the streetcar. A one-day unlimited ride is only $5. The streetcar begins service at 11 am. Get off three blocks away from Curtis Hixon Park at Whiting Street. Get to GMF by the Hillsborough River. Take a water taxi from Rick’s on the River in Riverside Heights or from your condo on Harbour Island. This is a music fest you won’t want to miss. Get your tickets now! Attending the festival and have other tips to provide for attendees? Let us know in the comments below or tweet us at Dive In Tampa Bay.